The country of Wales (or Cymru in the Welsh language) did not exist as a concept until the unconquered British were eventually hemmed into the westernmost regions of the country by the invading Angles, Jutes, and Saxons. The fall of the West Midland territory of Pengwern in AD 656 moved the Brito-Welsh border to something approximating its current location, albeit further to the east. From this point, Brythonic Britain effectively came to an end and early Wales began to emerge, along with a language that mutated rapidly between around AD 500 to AD 700. Within a century or so of the latter date the country's borders were pretty much set, following encroachments by the English kingdoms of the Magonset, Mercia, and the Wrocenset. Ercing was lost, along with a remaining part of ancient Ewyas, parts of Powys, and parts of Greater Gwynedd extending out to Caer Legion (Chester). The English name 'Wales' stems from the Germanic word for foreigner, 'Waelisc', while their land was 'Wealas'. The invaders called the native peoples Wealas, foreigner, in their own country, and the word stuck (although the same word seems to have earlier connotations as a mangled form of the original name for all Celts - see below). It was used in many locations, not just in Wales. The Britons of Cornubia became those of Cornwall to the English (the 'wealas' of the 'horn'). In the Carpathians in Eastern Europe, Wallachia ('land of the foreigners' with a Latinised ending) was a Germanic name to describe the natives who formed this Romance principality. The native name for the country, Cymru, means 'land of the cymry', which itself originates from the Brythonic word combrogi, or 'men of the same country'. This emerged out of a feeling of connectedness with the surviving free British peoples of Wales and the North in the face of the seemingly unstoppable tidal wave of Anglo-Saxon conquests in the sixth and seventh centuries. In early medieval Britain, the Welsh referred to themselves in literature both as the Cymry and the Brythoniaid, showing either a reluctance to fully embrace their new identity, or a nostalgic preference for a term that harkened back to a greater, larger Wales that had been lost. Either that or they truly saw themselves as the Cymry, the 'people', of Britain (the pre-Anglo-Saxon Britain, naturally). From the start of the second millennium AD, Cymry was used exclusively to describe both people and country, and from the mid-sixteenth century Cymru emerged to describe the country itself. Edward Dawson is of the opinion that 'Wales' and its cognates in Germanic languages probably derives from an earlier form of the name that the Celts used for themselves. The ancient Greeks recorded that the northern barbarians were Keltoi, and Julius Caesar reported that the Gauls called themselves Celtae in their own language. Recorded tribal names of Galati and Galaci existed. So how did 'Celt' become 'Wal'? The Celtic habit was to take a 'w' sound and stick a 'g' in front of it (G and K are usually interchangeable). This occurred before the first century AD at least once with another word, that for forest ('wood' in English, 'coed' in Welsh). This first shift apparently placed a 'k' instead of a 'g'; possibly due to regional dialects. If one postulates that the original name of the Celts was 'Walt', then the Celts placed a 'k' in front of it to produce 'Kwalt', which was shortened to 'Kelt'. The Germans would have continued using the original Walt, softening the 't' to a 'th', then dropping it entirely to produce 'Wal'. If so, the Welsh were not 'foreigners' as such but were literally the Celts. It may have been in the early formation of Wales that the Welsh concept of Lloegr (Lloegyr, Logris or Loegria) emerged. This was a span of territory which was roughly analogous to England south of the Humber, and was remarkably similar to the civilian-controlled areas of Roman Britain, south and east of the military zones of Wales and the North, most clearly shown on the accompanying maps in the AD 70-79 period. Could it have been purely a local term used by tribal Britons to refer to the areas that were under Roman law (continued by the post-Roman administration) instead of military or royal rule (which covered the North and the western principalities by the fourth and fifth centuries)? The name Lloegr may stem from the Latin 'legibus', which means 'laws', and which was also present in Oscan as 'ligis'. There may not have been a Celtic equivalent as this may have been a new word, something that hadn't existed when the Celts and Latins shared a common language. It also has to be wondered just who coined this new name. Was it the Romanised Britons in the south of Britannia who took the general Latin word for laws, 'legibus', and mangled it, or fused it with some Gaulish or Old Brythonic cognate, to form a proper noun which referred to the area of Britannia that was not under military rule or royal tribal rule, indicating that it was ruled by Roman civil law (and therefore, perhaps, a cut above the rough-and-ready North and West). The result might be Lloegr, a word that later entered the Welsh language as the name for England as a whole. 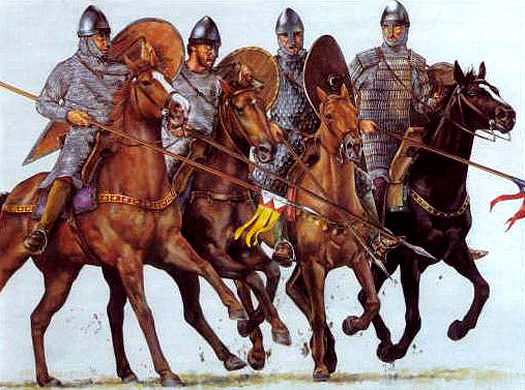 High King Magnus Maximus revolts and invades Roman Gaul with a large army. In preparation, he sets up defences in Wales to protect the west coast from Irish raiders, including the creation of the territory of mid-south Wales under the command of his son, Eugenius (incorporating Cernyw and Ewyas). Some forts are abandoned at this time. King of North Wales (Gwynedd). Son of High King Maximus. King of South Wales (Demetia). Son of High King Maximus. King of Mid-South Wales (Cernyw). Son of High King Maximus. High King Cadwaladr is probably killed by the great plague that hits the country. There is no obvious candidate to replace him, and such is the extent of the loss of territory over the past century that there is no longer a 'British' Britain over which to claim any high kingship. Instead, the rival Anglo-Saxon Bretwaldaship takes precedence. A revised form of the British high kingship later emerges in medieval Wales, but only after centuries of internecine rivalry to work out just who qualifies as a 'prince of Wales'. King of Wales (Dyfed, Gwynedd, Powys & Seisyllwg). The Annales Cambriae records that Ald Cluid (Dumbarton) is overcome by Vikings after a four month siege. Although it re-emerges after this, it is at least partially under the control of the kings of the Scots. Nevertheless, it is the last independent British/Welsh kingdom outside Wales itself. Upon the death of Rhodri Mawr, and according to his wishes, Wales is officially divided between his sons. Anarawd succeeds him in Deheubarth and gains Gwynedd, Cadell is confirmed in Seisyllwg, and Merfyn in Powys. 'Prince of Wales'. King of Wales (Gwynedd & Deheubarth). King of South Wales (Seisyllwg). Vikings have been wintering at Quatford (near Bridgnorth), but in the spring of this year they ravage the kingdoms of Brycheiniog, Gwent, and the Gwynllg region of Glywyssing. Asser records that Elisedd requests help from Alfred of Wessex, but another reason for this may also be due to pressure from Anarawd ap Rhodri, the powerful king of Gwynedd and Deheubarth who is keen on expanding his areas of control. 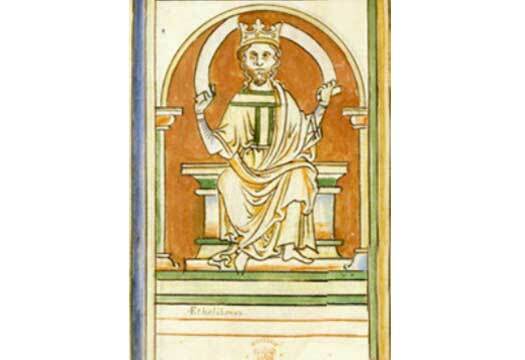 Æthelstan rules Mercia for sixteen days at which point his half-brother, Ælfweard, king of Wessex, dies. Æthelstan assumes the Wessex crown in addition to his Mercian title. With the submission of Viking York, Scotland, Strathclyde, English Northumbria (Bamburgh), Dumnonia and the Welsh kingdoms, Æthelstan becomes the first king of all England and overlord of all Britain. Upon the death of Gryfydd ap Elisedd of Brycheiniog, his lands are divided into their individual cantrefi which are handed to each of his three sons, effectively terminating the already diminished kingdom. Deheubarth remains the overlord of the cantrefi. The title of 'Prince of Wales' was in use by the eleventh century and could clearly be seen as a 'modernised' form of the old high kingship, which the Welsh had practised until all realistic claim to be high king of late Romano-British Britain were extinguished after the death of Cadwalader in 664. Although the first princes of Wales were usually the kings of Gwynedd, they still faced competition from Deheubarth in the south. 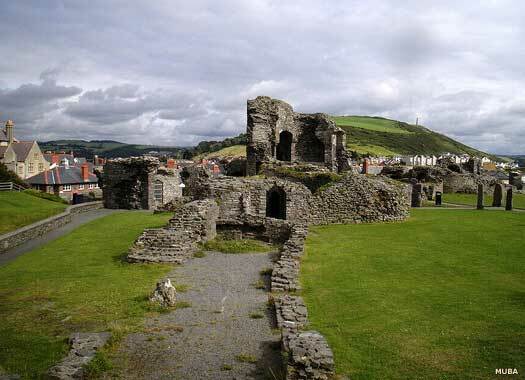 However, from the twelfth century onwards, once Deheubarth had weakened considerably, Gwynedd's kings had pre-eminence over the whole of Wales not conquered by the Norman kings of England. They carried the title 'Prince of Wales', from the Latin princeps wallensium, which was seen as a more elevated title that the degraded one of 'king', which had been claimed by so many in Wales over centuries of conflict. A prince was viewed as being the equivalent to the English king until England made Wales a subsidiary domain, and the title along with it. The title was then handed to the English king's eldest son, with the weak Edward II being the first such prince to carry it. It has since been passed by tradition to the eldest successive English heir. King of Gwynedd. 'King of Wales' (1057). Gruffydd ap Llywelyn of Gwynedd invades and conquers Gwent, along with Morgannwg, subjugating them both and drawing them directly under his control along with Deheubarth as part of a united Wales. Following his death, united Wales breaks up, and independent control of Morgannwg and Gwent is re-established. After uniting all of Wales and becoming the first recognised prince of Wales, Gruffydd is killed by disaffected Welshmen. No kings in Wales hold pre-eminence as Gwynedd in the north and Deheubarth in the south are both strong. Earl William FitzOsbern of Hereford invades the kingdom of Brycheiniog and defeats 'three kings of South Wales', although none of these hail from Brycheiniog. 'King Bleddyn' of Brycheiniog is defeated by Bernard de Neufmarché (Newmark in its English form). It seems from claims made by Bernard in 1088 that he conquers the entire kingdom and sees it as his own domain (and he apparently goes on to slay Rhys ap Tewdwr Mawr of Deheubarth in 1093). 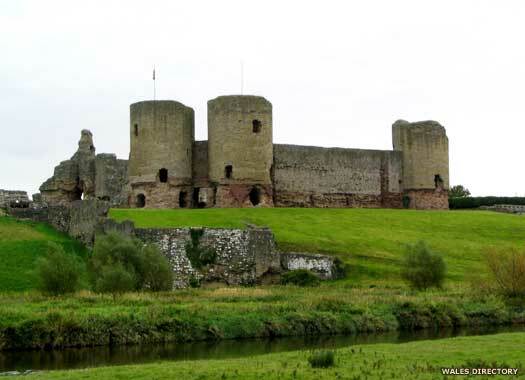 In Chepstow the first stone castle is built in Wales. It is an intimidating Norman stone keep which is to serve as a base for the further penetration of Wales. Whereas the highly centralised England had been conquered in a day, Wales is a very different prospect. Its very lack of centralisation makes it a tough place to conquer, and progress has to be slow and piecemeal. Morgannwg (and its eastern constituent, Gwent) is conquered by the Normans under Robert Fitzhamon, lord of Gloucester, given them control all of south-east Wales. The mountainous inland regions remain unconquered but, with the death of Iestyn of Morgannwg in 1093, any claim of a surviving independent kingdom ends. Iestyn's eldest son does not pursue his own claim to the lost throne, instead accepting the conquest as a fait accompli. King of Gwynedd. 'Princeps Wallensium'. King Dermot mac Murrough is forcibly ejected from Laigin by the high king of Ireland. He flees to Bristol and then Normandy where he gains the support of the English king, Henry II, and Norman allies with which to return to Ireland. The main invasion takes place in 1169 at Bannow Bay with the arrival of the first army of Norman mercenaries to enter Ireland, totalling thirty knights, sixty men-at-arms, and three hundred archers under the Fitzgeralds, marcher lords of Wales. King of Gwynedd. d.11 April. m Joan dau of King John of England. The kingdom of Deheubarth is subjugated by the Plantagenets, giving them mastery of all of South Wales. North Powys is also taken. King of Gwynedd. Recognised by Henry III of England in 1267. Dominant in Wales for so long, Llywelyn ap Gruffydd is ambushed and killed by forces led by his troublesome vassal, Gruffydd ap Gwenwynwyn of Powys Wenwynwyn, along with Roger Lestrange of Ellesmere and Roger Mortimer (grandfather of the first earl of March of the same name, lover of the wife of Edward II). The loss is a disaster for Wales, although Llywelyn's brother, Dafydd, steps forward to continue the fight. With the death of Llywelyn ap Gruffydd in 1282 and his brother Dafydd the following year, four hundred years of dominance in Wales by the house of Gwynedd comes to an end. Gwynedd is the last independent Welsh kingdom to fall, so Welsh independence is lost. The English gain full control of the country, despite three major rebellions in the thirteenth to fifteenth centuries. With the death of Llywelyn ap Gruffudd in 1282 and his brother in 1283, Wales was conquered by the English. At the same time, Powys Wenwynwyn was apparently handed over to the English by the son of its last king and was recreated as a marcher lordship. The conquest had taken two hundred years of effort since the Norman invasion and even then it was subject to frequent rebellions and attempts to restore independent kings in Gwynedd. The greatest of these, led by Owain Glyndwr, lasted over sixteen years, but the odds proved too great and English rule remained in place. Power was in the hands of the English king himself, while the English prince of Wales had (and still has) no formal role in the governance of the country. Welsh leaders are shown here with a shaded background to differentiate them from the English princes. Not all princes were formally invested as such, but did make use of the title. If and when a prince acceded to the throne, the title was held in abeyance for the next candidate, although years would often go by until the next investiture ceremony. In a sense, despite the breaks in the seventh to eleventh centuries AD, this position was and is a direct continuation of the high kingship practised by the Britons and which could be claimed to have endured since about 1000 BC. Son of Llywelyn ap Maredudd of Meirionnydd. Defeated. Madog is the son of Llywelyn ap Maredudd who had been the last lord of Meirionnydd. As a member of the royal house of Gwynedd (albeit a distant relation to Llywelyn ap Gruffudd) he leads a national rebellion against the Plantagenet rule of Wales in response to the excessive imposition of taxes. He defeats English forces at Hawarden, Ruthin, and Denbigh, and seizes Caernarfon Castle. Edward I leads an army into Wales in December, and the following year he defeats the revolt at the Battle of Maes Moydog. Madog is subsequently captured and imprisoned in London. He is known to be alive in 1312, and two of his sons survive him. Son of Edward I Plantagenet. Lord of Senghenydd. Hung, drawn and quartered. Llywelyn Bren appears to be involved in a minor revolt in 1314 which is sparked by the English governance of the lordship of Glamaorgan, following the death of the lord himself at Bannockburn. Two years later, along with some of the prominent Marcher lords, Llywelyn leads a full-scale rebellion which sweeps through Glamorgan and Gwent. Several towns are raided and burned. A powerful English force drives the rebels into the mountainous region of northern Glamorgan where they surrender. While most of the rebels are pardoned, in 1318, Llywelyn is executed without trial by one of the favourites of Edward II, Hugh the Younger Despenser, the son and heir of Hugh le Despenser, earl of Winchester. Son of Edward III Plantagenet. Prince of Aquitaine. In his later years, campaigning on behalf of Pedro the Cruel of Castile ruins Edward's health and finances, and a lingering illness causes his death one year before that of his father, and so he never rules (the first English Prince of Wales to suffer that fate). Head of the House of Aberffraw (Gwynedd). Assassinated. Owain is a minor member of the former Gwyneddian royal house, and from at least 1369 he fights in the service of the king of France, along with a company of Welshmen. In 1372 he announces his intention to claim the Welsh throne, but despite several attempts to mount an expedition from France, events conspire to keep him in Europe. In 1378, the worried English send an assassin who stabs Owain to death. He is the last of his royal house to attempt to claim the throne but another branch survives as the minor noble family of Wynn of Gwydir. Son of the Black Prince. Son of Henry IV Lancaster. Born either about 1349, 1354 or 1359. Probably alive in 1416. Owain Glyndwr is the son of Gruffydd Fychan II, hereditary heir of Powys Fadog and lord of Glyndyfrdwy, and a direct descendant of Llywelyn ap Madog on his father's side. On his mother's side he is related to the royal house of Deheubarth. In 1399 he rebels against the English rule of Wales and is proclaimed prince of Wales by his supporters. His royal blood attracts many followers, and he is assisted by Henry Percy ('Harry Hotspur'), who is defeated at the Battle of Shrewsbury in 1403. Owain himself is last seen by his enemies in 1412 and is never defeated or captured. In valiantly resisting the English for so long, Glyndwr becomes an ever-enduring figurehead for Welsh nationalism. Son. Accepted English royal pardon in 1421. Son of Henry VI Lancaster. Son of Edward IV York. Son of Richard III York. Henry VII Tudor gains the English throne as its only major remaining claimant. He is descended from Ednyfed Fychan, chief minister to Llywelyn the Great of Gwynedd, and Owain ap Meredith ap Tewdur, a Welsh squire in Henry V's court. More practically, his marriage unites the Houses of York and Lancaster, ensuring an end to the Wars of the Roses. Son of Henry VII Tudor. Died suddenly aged 15. Son of Henry VII Tudor. Modern Wales (Cymru in the Welsh language) occupies the westernmost section of the British Isles, bordered on the east by England, to the south, across the Bristol Channel, by Cornwall, and to the west, across the Irish Sea, by Ireland. The capital city is Cardiff (Caerdydd), which is located in the former territory of the kingdom of Morgannwg and later county of Glamorgan. Established as a Roman fort in the Silures tribal territory in AD 75, it became a civilian town by the early second century and apparently survived as such into the early modern age (although it may have been briefly abandoned following the Roman departure in the early fifth century). Made a city in 1905, it became the country's capital in 1955. Wales is a constituent part of the United Kingdom of Great Britain and Northern Ireland. The two Acts of Union of 1536 and 1542 drew the former independent collection of states fully under the English administrative umbrella. From that point onwards Wales and England were fully united under one crown and one Parliament, and were ruled from London. It was only recently, in 1999, that a restricted level of independent governance on internal affairs was gained, with the creation of the National Assembly for Wales. The country's name is an early modern derivative of the Brythonic word combrogi, or 'men of the same country', which was adopted to show unity in the face of the Anglo-Saxon conquest of what is now England. Its people are direct descendents of the Celtic Britons, with intermingled populations of Danes, English, Irish, and even a sprinkling of citizens from across the Roman empire. The Welsh language experienced a slow but certain decline into obscurity following the country's conquest in 1282, until a concerted effort to revive it began in 1960s Britain. The country is now officially bilingual, with most road signs carrying their message in Welsh first and English second. Wales is represented in the House of Commons of the Tudor Parliament for the first time as part of the stipulation of the first of two Acts of Union which fully binds Wales to England. The act also abolishes the March of Wales, that lawless border zone that had been created by the Norman King William I immediately after his conquest of England. Son of Henry VIII Tudor. Styled 'Prince of Wales' but not invested. The second of the Acts of Union is passed in Parliament whereby the legal system in use in Wales is annexed to that of England. English law prevails in Wales as part of the intended creation of a single state. Son of James I Stuart. Son of Charles I Stuart. Son of Charles I Stuart. Pretender from 1688. Feeling against the blatantly anti-Protestant James II of England and VII of Scotland flares up when his second wife, Mary of Modena, gives birth to a Catholic heir (commonly believed to be a changeling). His brother-in-law, William of Orange, lands in Britain with a Dutch army. The disaffected British army goes over to him, and a bloodless takeover is effected with the support of the British people, named the Glorious Revolution. James flees London for France on 11 December, and by this act is deemed to have abdicated. He and his supporters continue to hold a claim on the thrones of England, Scotland, and Ireland for decades to come, but most of the significant Scottish nobles support William (the Jacobite pretenders to the throne are shown as a continuation of the Stewarts of Scotland). Son of George I Hanover. Son of George II Hanover. Son of George III Hanover. Son of Victoria Saxe-Coburg & Gotha. Gladstone's Liberal government passes the Sunday Closing (Wales) Act 1881 in Parliament, which bans the sale of alcohol in Welsh pubs on the Sabbath. It is an act that will change the culture, politics, and even the architecture of Wales for over a century. Sponsored by prominent Welsh nonconformists in the Liberal party, such as future Prime Minister David Lloyd George, the act is not repealed until 1961. It is also the first piece of Wales-only legislation passed by Westminster since the 1542 Act of Union, and is the first recognition in law of a distinct Welsh identity. Son of Edward VII Saxe-Coburg & Gotha. Son of George V Windsor. Daughter of George VI Windsor. Welsh politicians propose that Princess Elizabeth be invested as princess of Wales on her eighteenth birthday. Her father, the king, rejects the plan on the basis that this particular title belongs to the wife of any prince of Wales. Additionally, as Elizabeth is only heir presumptive, the birth of a male heir would push her down the line of succession. Son of Elizabeth II Windsor. The National Assembly for Wales is created following a referendum in the country which secures a narrow vote in favour. The assembly bears the responsibility for the administration of a range of devolved policy matters and meets at the Senedd in Cardiff.